Summer hair equals to frizzy unruly hair...for most people including myself! That's why I usually like to put it in a ponytail to get everything out of my face. Trust me, you really don't want a few oily strands glued on your forehead (bad for your skin; bad for your look)! 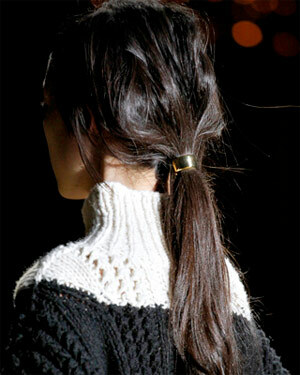 But who has the time or patience to create a glamorous ponytail? I mean by definition, ponytails are for 2 day old hair. I usually grab random sections of hair and clip or tie on a rubber band. Done! The rougher the texture the better! 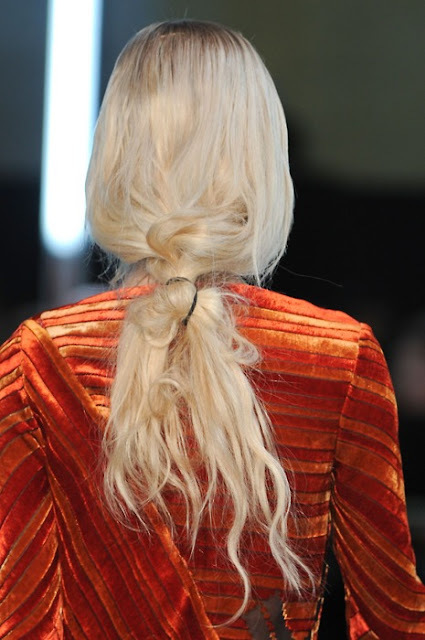 This year, many of our favorite designers embraced the messy low pony. I LUV. 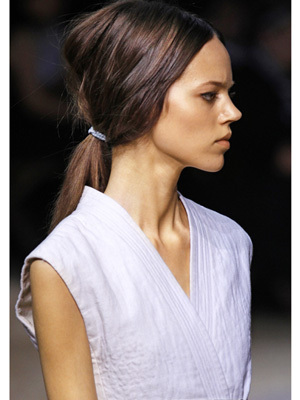 I've been completely obsessed with the ponytail ever since seeing the models sporting it on the runways this year!